The Independent National Electoral Commission told a Federal High Court in Abuja on Monday that the issuance of Certificate of Return to Uche Ogah on June 30, recognising him as the governor-elect of Abia State, was in compliance with the court order delivered on June 27. 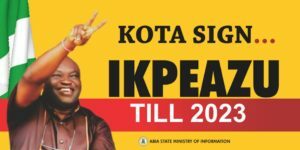 INEC also said the notice of appeal, filed by Okezie Ikpeazu against the said judgment, which removed him as the Governor of Abia State and ordered the issuance of fresh Certificate of Return to Ogah, did not operate as a stay of execution of the judgment. The electoral body stated this through its lawyer, Mr. Alhassan Umar, when a motion filed by Ikpeazu, seeking a stay of execution of the judgment, came up for hearing on Monday. The motion for a stay of execution of the judgment was slated for hearing on Monday before Justice Okon Abang, who had delivered the verdict on June 27. Justice Abang had, in his judgment delivered on June 27, sacked Ikpeazu for allegedly disclosing false information in relation to his tax clearance details to the Independent National Electoral Commission in his form nominating him as the candidate of the Peoples Democratic Party for the 2015 governorship election in the state. The judge, also in the said judgment, ordered Ogah, the governor’s rival who was the first runner-up in the primary that produced Ikpeazu as the candidate of the PDP, to take over as the state’s governor. 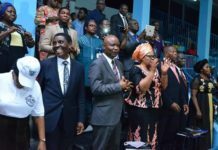 A few hours after INEC presented the Certificate of Return to Ogah on Thursday in Abuja, however, an Abia State High Court in Osisioma issued an order, stopping the state Chief Judge or any other judge from inaugurating Ogah, the governor-elect. On Monday, however, the judge acceded to the request by Ikpeazu’s lawyer, Chief Wole Olanipekun (SAN), to adjourn the hearing of the motion till Thursday. 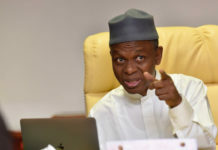 Umar, while earlier reacting to the motion for adjournment, and other oral applications made during the proceedings, said the commission had already issued the Certificate of Return to Ogah before the processes of the notice of appeal against the judgment was served on the commission. He explained that the notice of appeal and the motion for a stay of execution of the judgment did not operate as a stay of execution of a court’s verdict in a pre-election case. According to him, the law will expressly state so if it intends to make a notice of appeal to operate as a stay of execution in a pre-election case. The INEC lawyer pointed out that why a notice of appeal operated as a stay of execution of a judgment delivered by election petitions tribunal in an election petition was because it was expressly provided for under Section 143(1) of the Electoral Act. Umar added, “We do not object to the application for adjournment. “On the issue of enrolment order of this court, the third defendant/respondent (INEC) issued Certificate of Return to the plaintiff/respondent as ordered by this court. “My Lord, on the issue of time of service of the processes, with due respect, the certificate speaks for itself. He added, “The certificate of return was issued after we were served with the motion on June 28. We had issued the certificate upon being served with the motion. “The certificate bears the date. “By the issuance, I meant it was signed on June 28, but the actual presentation of the certificate was on June 30. Shortly after Ikpeazu’s motion for a stay of execution was mentioned on Monday, his lawyer, Olanipekun, asked for an adjournment of the case till Thursday to enable his team to complete the filing of its reaction to Ogah’s counter-affidavit filed in opposition to the motion. But Ogah’s lawyer, Dr. Alex Izinyon (SAN), urged the court to shun the request for an adjournment, set aside the order of the Abia State High Court in Osisioma, restraining the CJ of the state from swearing-in Ogah as governor and reiterate the judgment of the court. 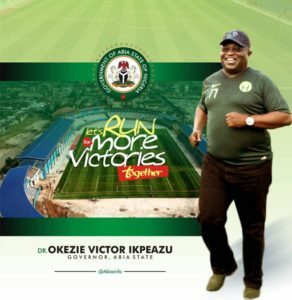 Izinyon argued that by going ahead to obtain such an order from inauguraing Court without bringing the order to the attention of Justice Abang on Monday, Ikpeazu had resorted to self-help. The senior advocate asked the court to set aside the Abia State High Court’s order and reiterate the judgment since Ikpeazu’s motion for a stay of execution had allegedly achieved essentially what the motion intended to achieve. Izinyon stated, “My lord, the question to ask borders on the integrity and the sanctity of this order obtained from the Abia State High Court and the application before this court now. “They are asking for a date when they have in their pocket a court order, which has tied the hands of the plaintiff, preventing him from presenting himself for swearing-in, contrary to the order of this court. “My lord, what is paramount here is that the applicant, Okezie Ikpeazu, went somewhere else to get this order from another High Court. “We submit with respect that the applicant did not bring this to your lordship’s attention. They have not told your lordship that they went somewhere else to obtain the order. Olanipekun, in his counter-response, accused INEC and Ogah of being the ones resorting to self-help. He argued that there was no justification for presenting the Certificate of Return to Ogah on June 30 after INEC had received the notice of appeal and the motion for stay of execution on June 28. He asked the court to quash the Certificate of Return issued to Ogah by INEC. But in his ruling, Justice Abang refused to set aside the enrolled court order, saying Section 19 of the Sheriff and Civil Processes Act, relied on by Olanipekun, did not define processes to include the enrolled court order. Describing Olanipekun’s application asking for the voiding of the court’s enrolled order as lacking in merit, Justice Abang said the court had the power to enrol its order at any time after judgment had been delivered. The judge said he would determine whether he could set aside the order made by the Abia State High Court and whether he could void the Certificate of Return issued to Ogah and whether the provisions of Section 143(1) of the Electoral Act applied to the judgment of his court in a pre-election case or not. 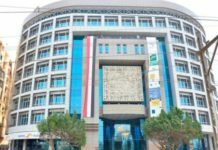 But before the adjourning the case, the judge warned lawyers and a section of the media, whom he accused of misrepresenting the court’s judgment without first availing themselves of the details of the court’s verdict. 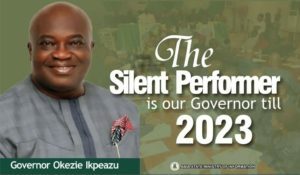 He said for instance some commentators on television said his judgment, removing Ikpeazu from office as governor, was based on Section 24(a) of Constitution, whereas the said provision was not mentioned at all in his verdict. 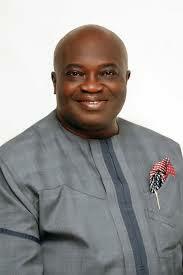 But Ikpeazu alleged on Monday that INEC had a “suspicious motive”. The Chief Press Secretary to the Governor, Eyinnaya Apollos, said this during a telephone interview with one of our correspondents while reacting to INEC’s submission that Ikpeazu’s appeal could not stop the execution of last week’s judgment. “For INEC to say that confirms our suspicions that the commission has a special interest in the matter,” he said. 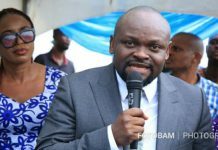 Apollos said an appeal against the judgment removing his principal from office had been filed before the Court of Appeal on Monday. 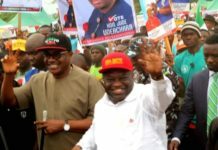 In a separate statement, Ikpeazu described the plot to unseat him as an attempted coup d’etat in a democracy and vowed to fight to protect his mandate. 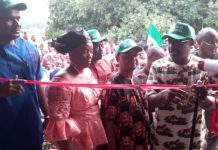 The governor was quoted as saying this when he received members of the Abia State Executive Council who paid him a solidarity visit in Government House, Umuahia, on Monday. 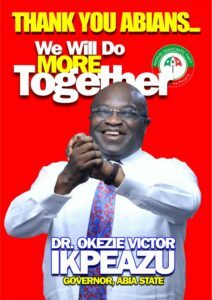 Ikpeazu wondered how someone, who never stood for an election, would want to become governor through what he described as “the back door”. He added, “The plot to remove me as governor is a coup d’etat. I can’t imagine that somebody, who never contested election, is seeking to be made a governor through the back door. I can’t understand the rush by INEC to issue Uche Ogah a Certificate of Return. I also can’t comprehend the rush to swear him in. Iziyon, the counsel for Ogah, said he would not take issue with Ikpeazu on the matter, but would wait for the Thursday ruling before making any comment on the suit.